Since 2007, we provide and constantly innovate and improve a cloud solution for Fleet asset management – Monit7. Monit7 solution allows monitoring any object using monitoring box mounted in the vehicle or our application in the smartphone. Mounted monitoring box can be connected to the vehicle CAN bus and it can instantly and precisely monitor fuel consumption as well as provide other vehicle specific information. With Monit7, the companies have perfect solution for their fleet monitoring and management. 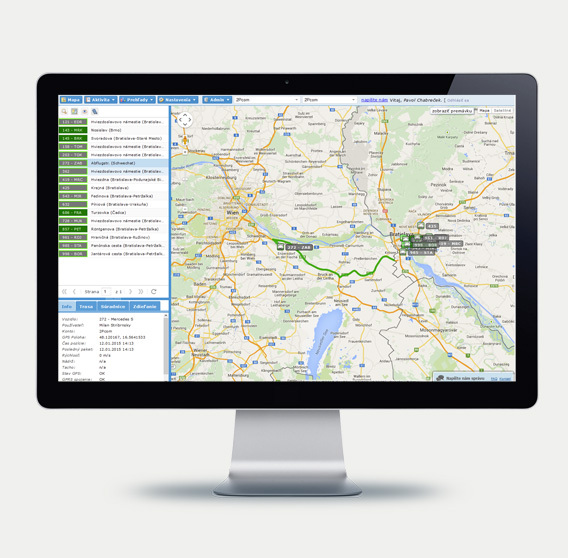 We are one of the leading companies in the area of fleet management in the Slovakia. We offer Monit7 as a Solution as a Service. (SaaS).